Boxing day sales for me, mean one thing... a trip to Lush! I love Lush products at the best of times, but when it comes to the sales I love taking advantage of getting the limited edition Christmas products for half price. Unfortunately this year I was working boxing day, and the day after, so I was a little late to the party, and I missed out on a few of the gift sets that I wanted. I also had to settle for a small bottle of Snow Fairy, because all the big bottles had been snapped up. 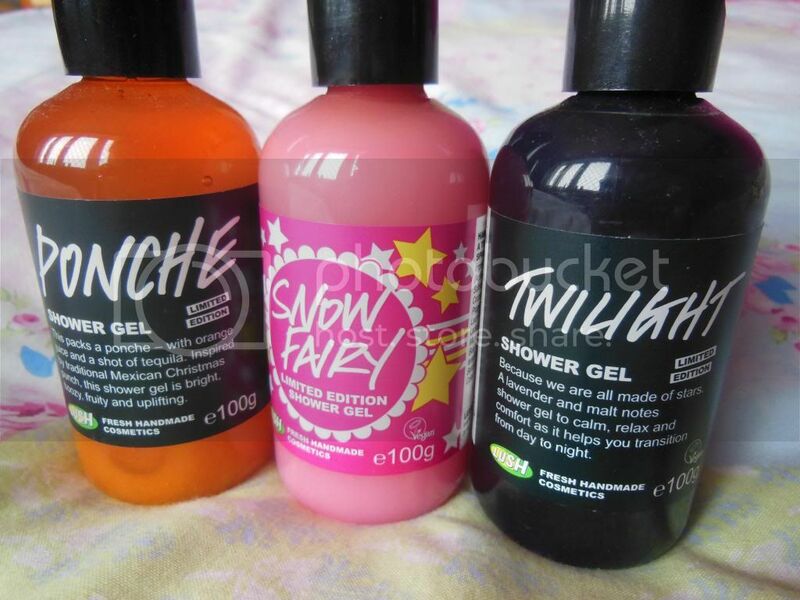 Firstly I headed for the Snow Fairy, and because I had been beaten to the bigger bottles, I thought it was the perfect excuse to give the new festive shower gels a try too! Ponche smells absolutely amazing, it's made to smell like a Mexican Christmas Punch, and you can really smell the tequila in it! It's very sharp and fresh, which will be lovely to shower with in the morning to wake me up a little! On the opposite side of things, is Twilight, a very mellow, relaxing scented shower gel which contains lavender and malt... I do have to say though, the lavender is't too overpowering, it's not a floral smelling product at all, it's very unique - I love it! 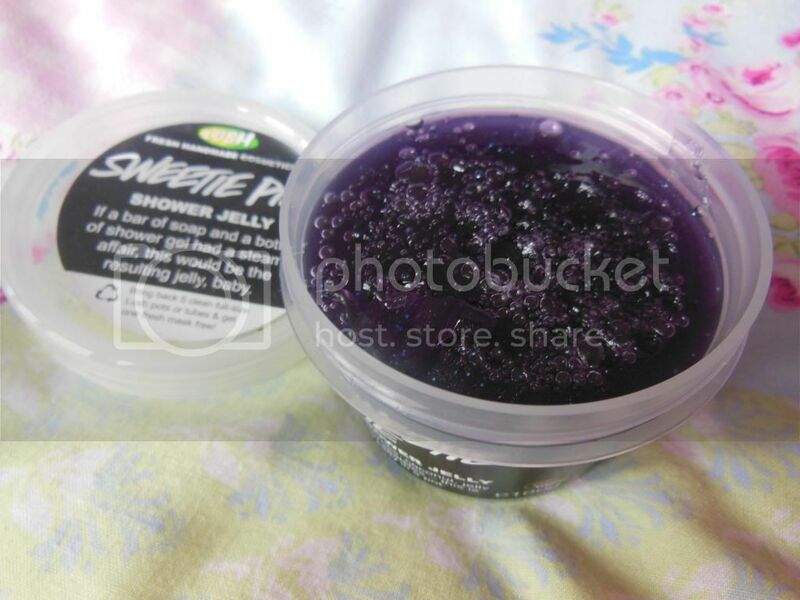 I also picked up a tub of Shower Jelly, which is something I have never used before, but I'm really intrigued by... I'll definitely be reviewing it to let you know what it's like and a chunk of Porridge soap; one of my all time favourite Lush products. It's full of oats and is amazing for exfoliating. Last up, I got one of the last Christmas gift sets that was left in the shop. 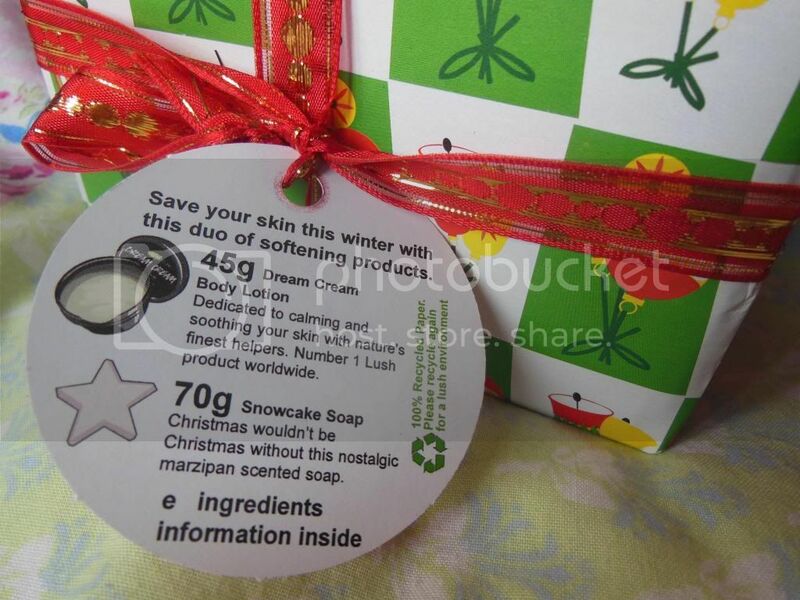 The one I chose contains a small tub of Dream Cream (which I love) and a delicious sounding soap. I can't wait to use it all! Did you get any bargains in the Lush sale? 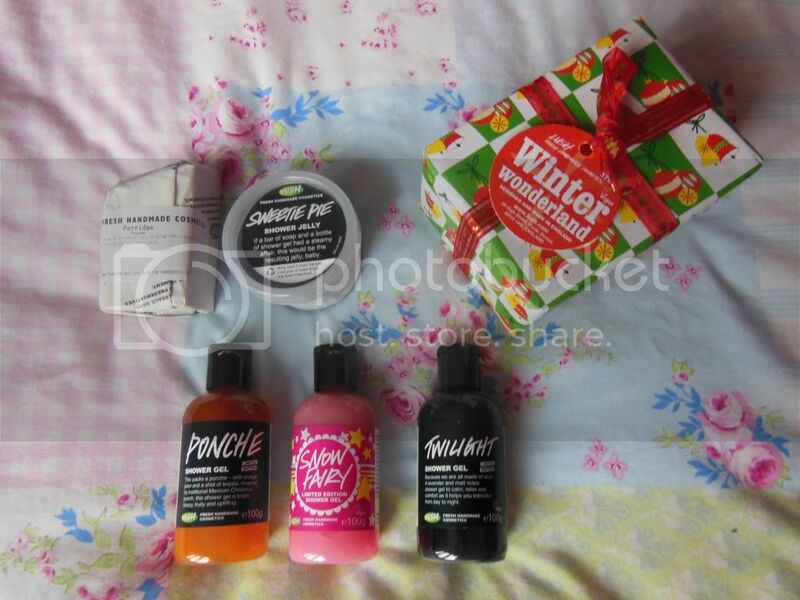 Porridge and Snow Fairy are two of my favourite Lush products, they're both wonderful!!! I completely forgot to check out the Lush sale... how silly of me! I absolutely adore the ponche shower gel (I wish I got a bigger size), it's the most moisturising shower gel I've ever used. Oh you did so well, what a nice haul! I love Lush products as part of my skin care routine, namely their facial cleanser with seaweed, and cornmeal exfoliator. The soaps are divine, and I also love the shower gels. I use fresh lemon juice with the cornmeal to lighten the skin with my nightly skin care routine after a hot bubble bath. Great post, and keep up that bargain shopping! Great finds, my brother managed to pick me some bits up the other day :). Surprised there was anything left to be honest, I'm got the mini Snow Fairy and Twilight to test out too as I've not used either before.